I hope whoever did this puts them up all over town. 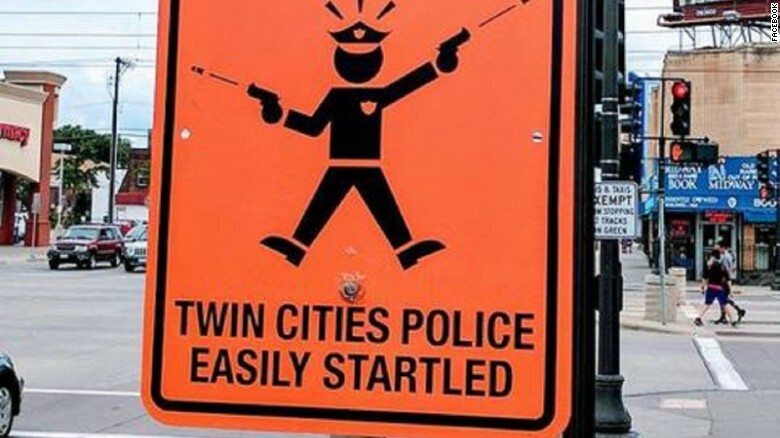 One week after an unarmed Minneapolis woman was killed in an officer-involved shooting, street signs criticizing “easily startled” police have popped up in the Twin Cities. St. Paul Police Department spokesman Steve Linders confirmed there was at least one sign in St. Paul and another in Minneapolis. Linders didn’t comment on any reaction from officers to the signs. The sign appeared about a week after Minneapolis police shot and killed Justine Ruszczyk, who had called 911 to report a possible assault. Minneapolis Police Chief Janeé Harteau stepped down six days later. Ruszczyk’s death was the latest of several fatal officer-involved shootings in Minnesota. Philando Castile was shot and killed by a St. Anthony officer during a traffic stop in July 2016, sparking nationwide protests. Less than a year earlier, a Minneapolis officer fatally shot Jamar Clark after a scuffle with officers in front of an apartment building. Addy Free spotted the St. Paul sign at a busy intersection Sunday morning on his way home from work. He snapped a photo, which has since been shared over 18,000 times on Facebook. 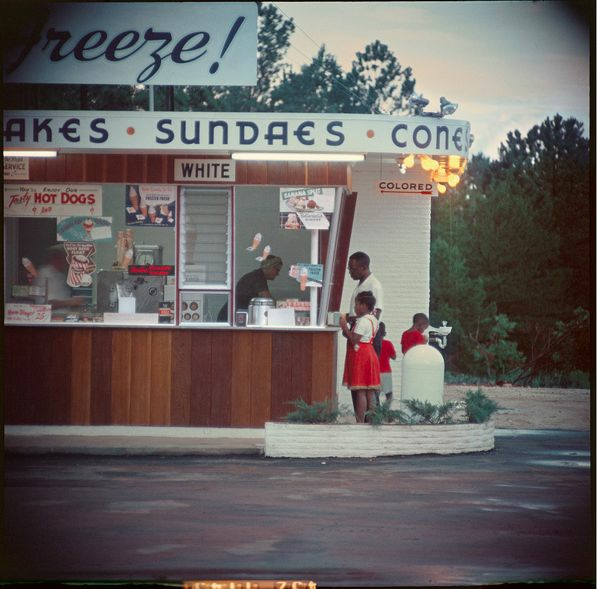 The next morning, when Free went by the place where the sign had been, it was gone. The sign was taken down because it was attached to a legitimate street sign, Linders said, but he was unsure if the incident was being investigated as vandalism. Free said the sign appeared to be made of metal and that it had the same thickness as the real street sign above it. Anybody else notice the sniffling, loud congested nose noises, and jitters of the boy at tonight’s “debate”? I think the boy was coked up. Signs Tha Make You Go Hmmmmmmmm…. Can I get that 747 Dressed Up With Some Wheel Spinners? Makes You Wonder Exactly How Many Times They Have Had To Replace That Sign? And the Bridge? Posted by btx3 on February 4, 2011 in Nawwwwww!